Lovely one story Villa with attached Carport and utility room with stackable washer and dryer. 2 Bedroom, 1.5 Bath, neat and clean. Central Air and Heat, eat in kitchen with back door that leads to outside open patio where you can enjoy the Florida weather and BBQ. Close to Heated Pool and Clubhouse. Low Monthly Maintenance fee of $233.16 covers water, sewer, trash, insurance, roof, pool and shuffleboard courts. 55+ community close to Bus line, Tyrone Mall, Bay Pines VA Hospital, our beautiful Beaches and Tampa Airport. No Pets and No Rentals allowed. Please, send me more information on this property: MLS# U8038534 – $89,500 – 7846 38th Ter N, St Petersburg, FL 33709. 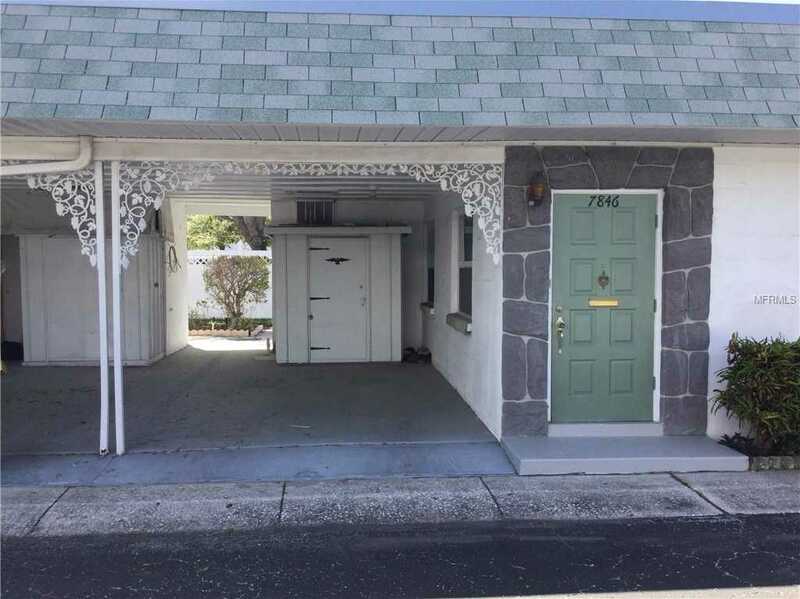 I would like to schedule a showing appointment for this property: MLS# U8038534 – $89,500 – 7846 38th Ter N, St Petersburg, FL 33709.